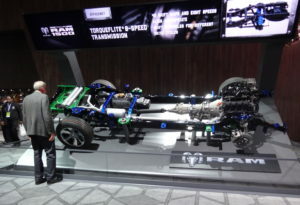 Though large percentages of vehicle structures might be upgradable to third-generation ultra-high-strength steels, some auto body shop staple parts will probably remain at lower and potentially more repair-friendly tensile strengths, experts said Monday. 3G steels could be used “anywhere today” with “high-strength steel on up,” AK Steel research and innovation Vice President Eric Petersen said during an interview at the Center for Automotive Research Management Briefing Seminars. This truly could extend below the 590 MPa range to “500-type things” stuck in the high-strength, low-alloy range, he said. U.S. Steel global product development and engineering Vice President Bernhard Hoffmann agreed earlier in the day that more parts than simply press-hardened steel could be swapped out for 3G steel versions. He said 980 MPa 3G steel could replace steels down to 590 MPa dual-phase, while U.S. Steel’s 780 MPa 3G steel was as formable as 440 MPa steel. Asked about the possibility of switching exterior parts like panels and closures to 3G steel, Petersen predicted exposed and Class A surfaces would stay mild steel for “cosmetic appeal.” The alloying and processing in advanced high-strength steels and third-generation steels made them not “as good of a surface” for the reflectivity customers wanted on the vehicle exterior, he said. Nucor market development and product applications manager Dean Kanelos said body panels’ dent resistance role was proportional to an equation involving the thickness and strength of the material. This multiple effect allows the result to be achieved with lower-strength steels. “We will get stronger,” he said: Dual-phase 500 steels are starting to appear. But even those can have cosmetic issues, and it’s difficult to get around that, he said. 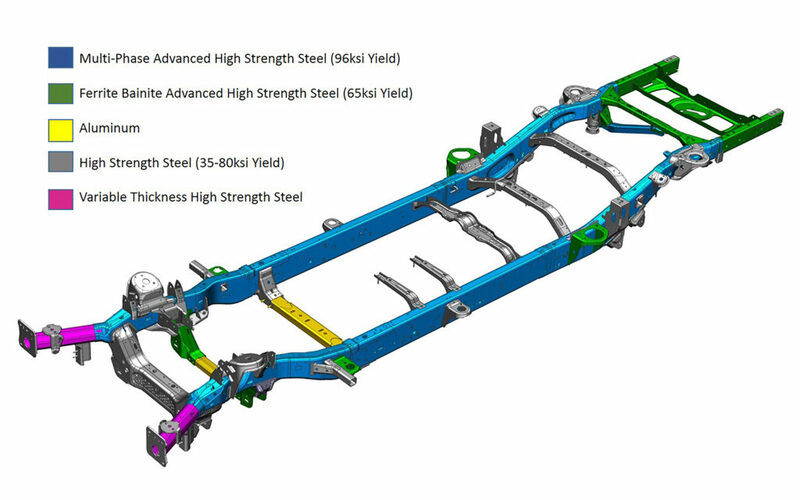 Frames seem like a large, heavy candidate for lightweighting with ultra-high-strength steels, yet that hasn’t been the case on the next-generation 2019 Silverado or 2019 Ram 1500 announced earlier this year. Auto/Steel Partnership Executive Director John Catterall said the reason had to do with the frame functionality. The structure has some crash role, but overall, durability and stiffness are more important, he said. 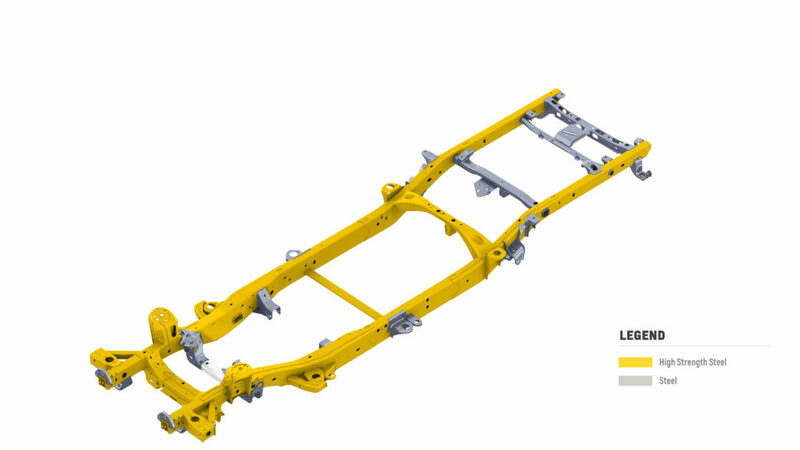 The frame was the “backbone of the vehicle” and would likely stay “high-HSLA,” so to speak, though some are starting to become dual-phase, according to Catterall. The prospect of frames becoming 3G steel was “dubious,” he said. Petersen agreed, saying that the frame activity seen was in the “higher high-strength” or “lower advanced-high-strength” grades of 400-600 MPa.